While minicars rebounded in Q1 of 2017, the subcompact car segment started the year deep in the red with a loss of 15.7% compared to the first quarter of 2016, for a total of 117,995 sales. The segment top-3 all lost with double digits, as the rise of the subcompact crossover segment undoubtedly plays a role in the struggles of the similarly sized sedans and hatchbacks. Then again, no less than four out of the nine players are due to be renewed this year (Chevrolet Sonic, Ford Fiesta, Hyundai Accent and Kia Rio), while two others are in the second half of their life-cycle (Nissan Versa, Toyota Yaris) as well. 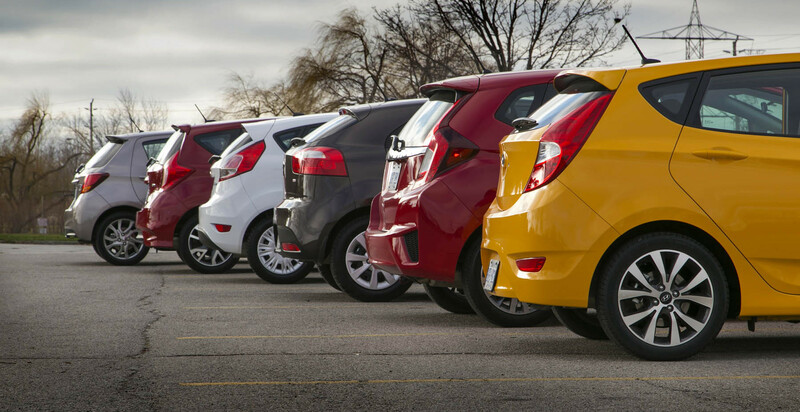 Sales of subcompact cars rebounded slightly in the fourth quarter of 2016, growing by 2 percent relative to Q4’15, allowing the segment to cut the annual fall in sales to 3 percent. This is a very respectable performance for a segment where most cars are older designs, either in the second half of their life-cycle (Nissan Versa, Toyota Yaris) or about to be replaced (Chevrolet Sonic, Ford Fiesta, Hyundai Accent and Kia Rio). And while the segment still only sells less than a third of what the Compact segment manages, 2016 is notable as the first time that the Subcompact segment outsold the Minivan segment over the course of a year. The Subcompact segment shrank by 6 percent compared to the first half of 2015, a reasonable performance for a mainstream segment – only the Large and Minivan segments did better. What’s more, this was achieved despite many of the cars in the segment getting decidedly long in the tooth (Hyundai Accent, Chevy Sonic, Ford Fiesta, Toyota Yaris). However, until these models are replaced later this year / early next year, it’s hard to imagine the Subcompact segment doing much better than this, especially in light of the persistently low gas prices.